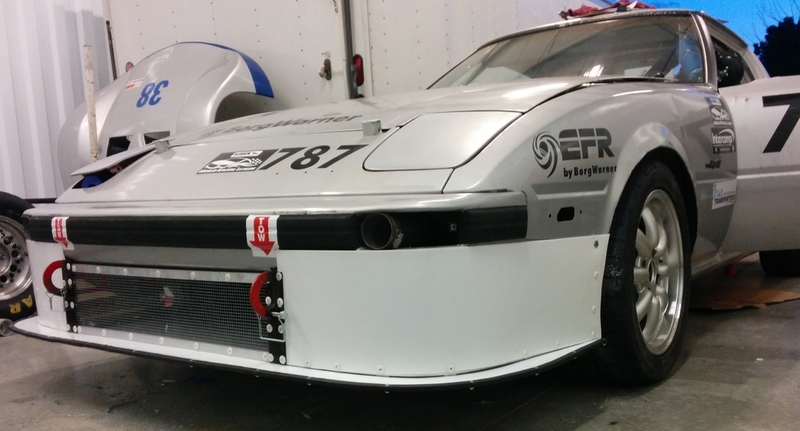 I want to run some ducts on the front of my FD stock brakes to help cooling at the track and after searching around a bit I think I can fashion some 3 or 4 inch pipe from my 99 lip and follow it all the way up to the back plate. Are people are fabricating their own backplate or buying a kit somewhere ? And when finished the results are far superior to the stock set up ? to answer this would require a little testing. you'd need to take some temps of the stock setup, and then make the duct, and retake the temps, preferably at the same track, correct for any difference in ambient temp, and then you'd know. you'd probably learn what temp the pads like too. Another option we might do here is duct the backside of the oil coolers. 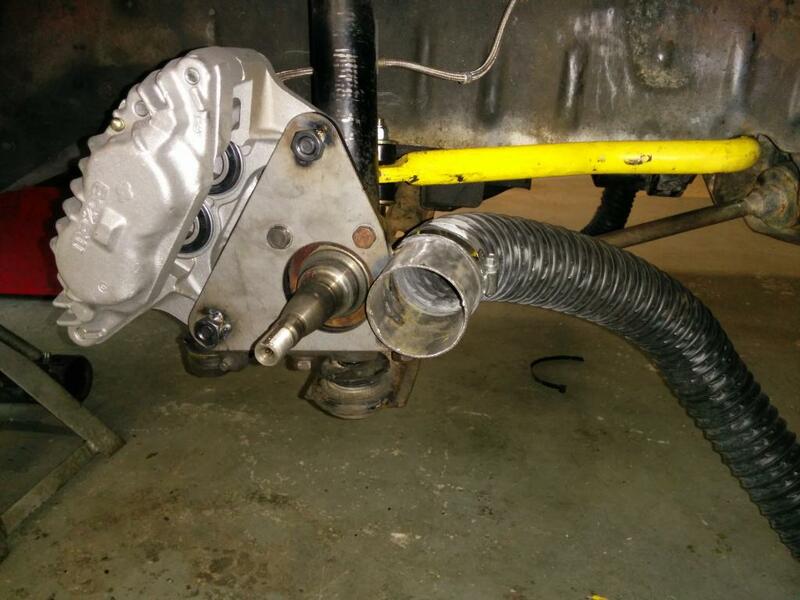 run a 3" hose from the back of the oil coolers to the backing plate of the brakes. 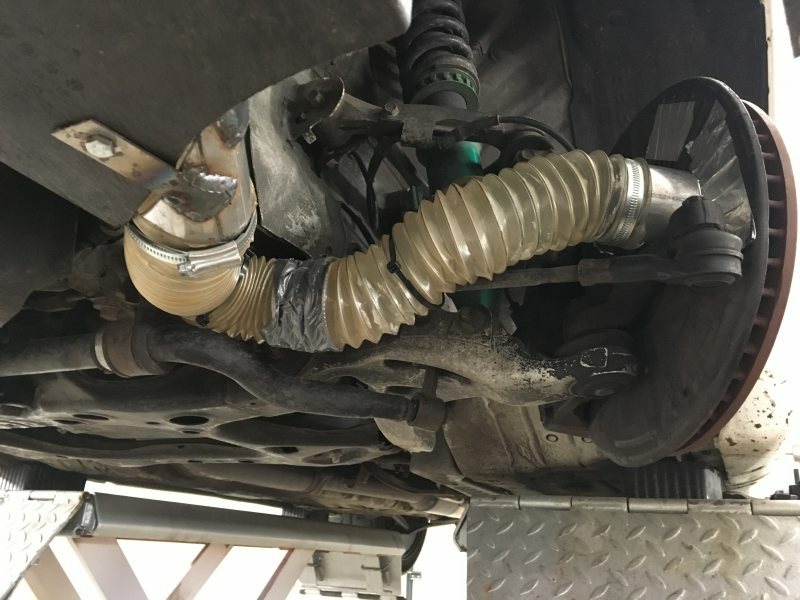 this way you don't need to duct anything below the car or the bumper. just a short hose between the two. shouldn't be too bad. I suppose just punching out a 3 inch diameter hole in the backing plate would suffice? my concern is running the end of the pipe close enough to the rotor to get the air to do some good. Thanks Mahjik,I will probably just make a make my own setup like that. Just be very careful. The duct work shown in the linked thread looks good, but is only blowing cold air on one side of the rotor. 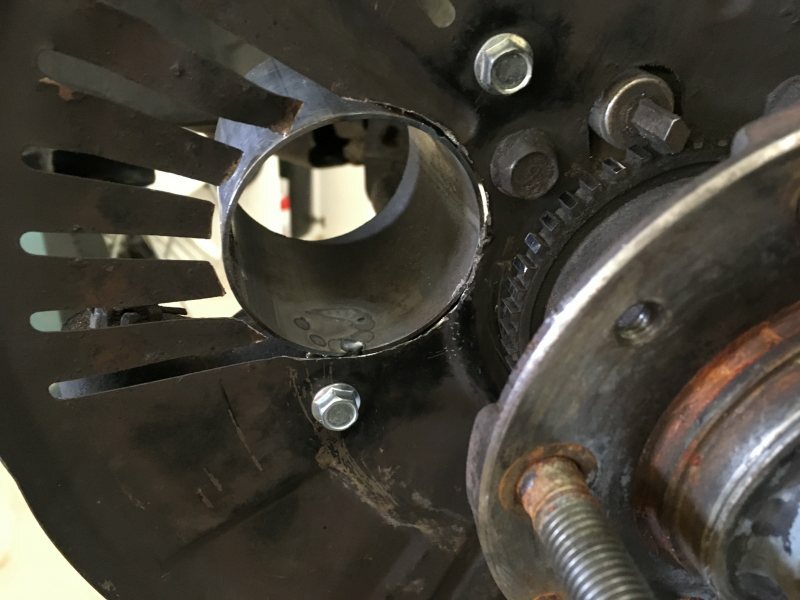 This can create a temperature imbalance from side to side on the rotor and lead to uneven pad wear and potentially rotor cracking if the imbalance is great enough and the rotor is weak enough in one place. If I may suggest 2 approaches. The first is to build the duct work to the backing plate, then guide the air to the very center of the rotor near the spindle. This allows the air to pass through the rotor through the internal venting of the rotor (center to outer) and thereby cooling both sides equally from inside (best choice). 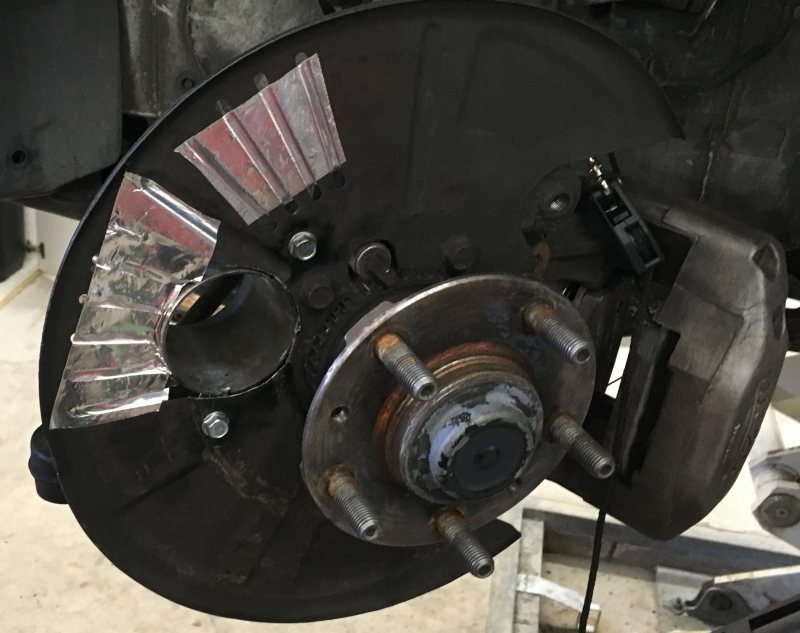 The second way would be to guide the air to the back face of the wheel and allow it to just add a bunch of air to everything, from the caliper, the rotors on both sides and the spindle. This is the way that I do it as the cooling air needs to get to the rotors and calipers on my cars as I can actually melt out the caliper piston o-rings if I don't. It is no way the most efficient and at times I want to go to the first selection and add a second ducting line to cool the caliper, but things are under control right now and I just don't want to mess with it until I need to. I have read this is the way to do it and you get cooling to the bearing too. Question,is there a preferable material to use aluminum or steel ? Use aluminum. Remember unsung weight concerns. Lighter is better. So I,m going to fab my own ducts and backplate will post pics when I,m done. Pads I,m planning on running are Carbotech p10 and p12 in front on some cheap oem discs. Video updates and what I discovered to make this all fit. 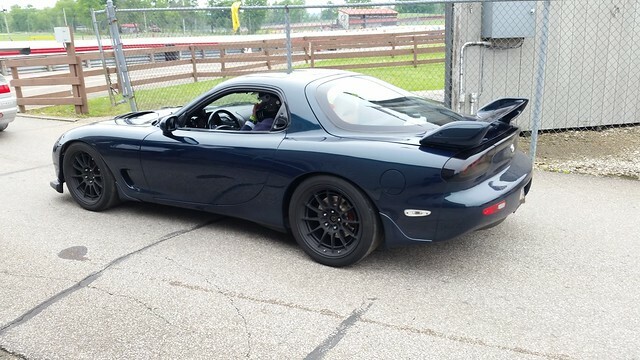 Ran at Mid Ohio yesterday and the brake setup was solid,stopped me from 130 mph without any apparent fade,we ran about 35 laps and felt as strong at the end as it did from the start. Recap...build 3 inch ducts to the stock sized rotors at the front.......purchased new rotors,Carbotech XP10,XP12 pads front and back fresh Wilwood 600 hi temp brake fluid.I,m running stainless steel lines. I was expecting a lot more noise and grinding,there was very little or any noise at all,dusting was pretty minimal so I would give a thumbs up to the pads.... so in conclusion if you own a street car and want to throw on some r comps and track it and not be held back by the stock system I think this will definitely help you. Last edited by mp5; 06-02-15 at 07:39 AM. 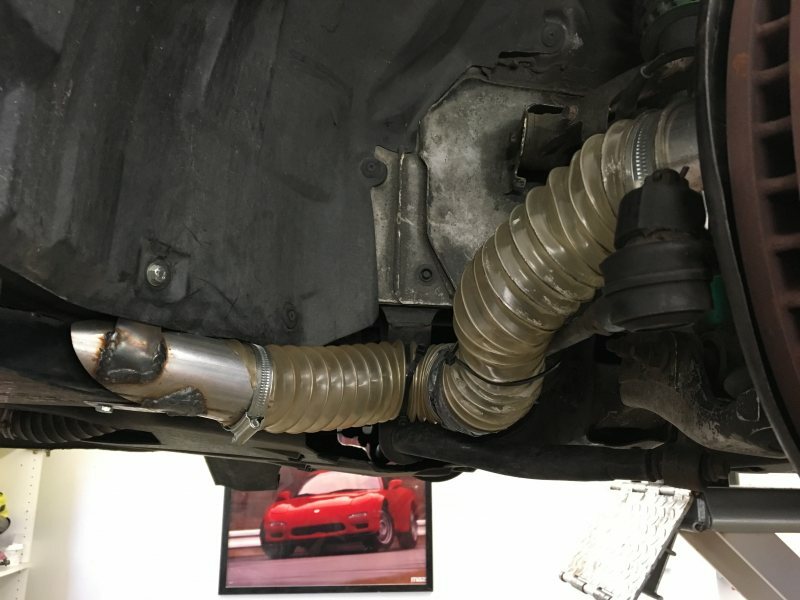 What do you guys think about these brake cooling spoilers that Porsche uses? Costs $10. I think that is all that is needed. 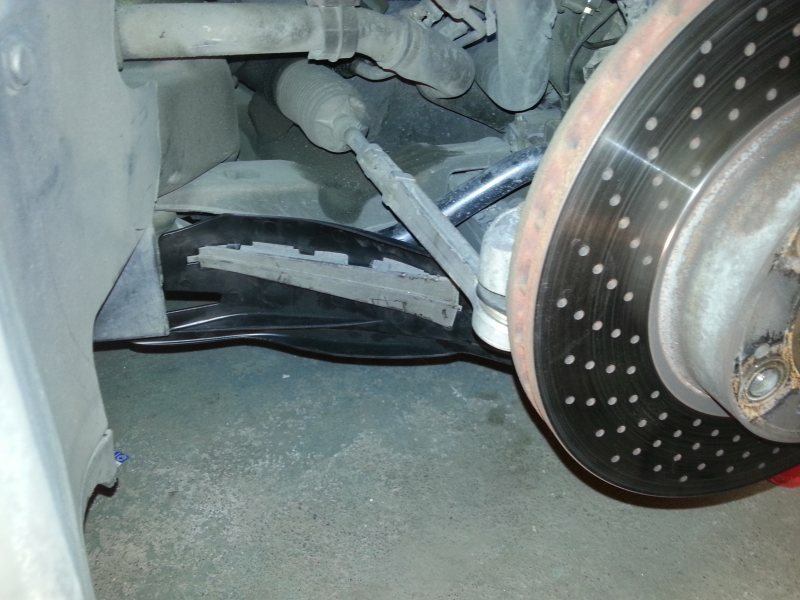 direct air to the brakes. Yeah, I think so too. A cheap and easy mod. I've hot the big -99 breaks also. Gonna give the spoilers a go. Last edited by Macen; 07-14-15 at 03:25 PM. As 23racer said, it is very important to duct cool air to the center of the rotor. Vented rotors work as centrifugal air pumps, as they turn the vanes pump air cooling air from the center through the inside passages, cooling both faces of the rotor. Blowing cool air on one face of a rotor does not cool a rotor down nearly as well as blowing cool air into the center of the rotor. Another trick is to grind away sharp casting flash from the around the inside edges of the rotor. We are trying to get air into those passages, and sharp edges really impede air flow. I haven't mounted them yet, just test fitted. Rear will fit with some modifications. 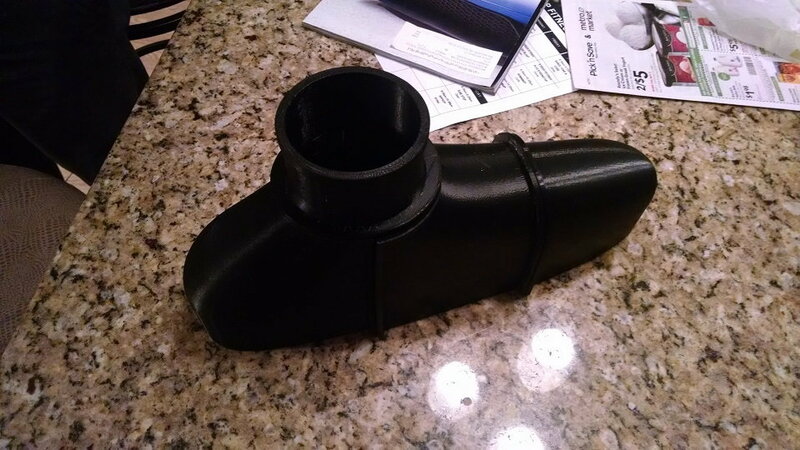 I'm gonna make a hole with a dremel in the brake shield and mount the spoiler on the lower rear control arm. Will post pictures when it's done. Front will not fit. I'm gonna go for a hose from the front to the center of the brake disks. Any updates to the Porsche ducts in the front? I'm intrigued and may try this or draw inspiration to make my own. I didn't mount mine in the front. I built proper cooling with hoses from the front to the hub. Maybe I will try to mount the ducts in the rear. Last edited by Standing Z; 10-14-16 at 07:45 PM. A much less fancy way to use your turn signal holes for cooling ducts. I may have to design some that I can get printed, that does look much nicer. 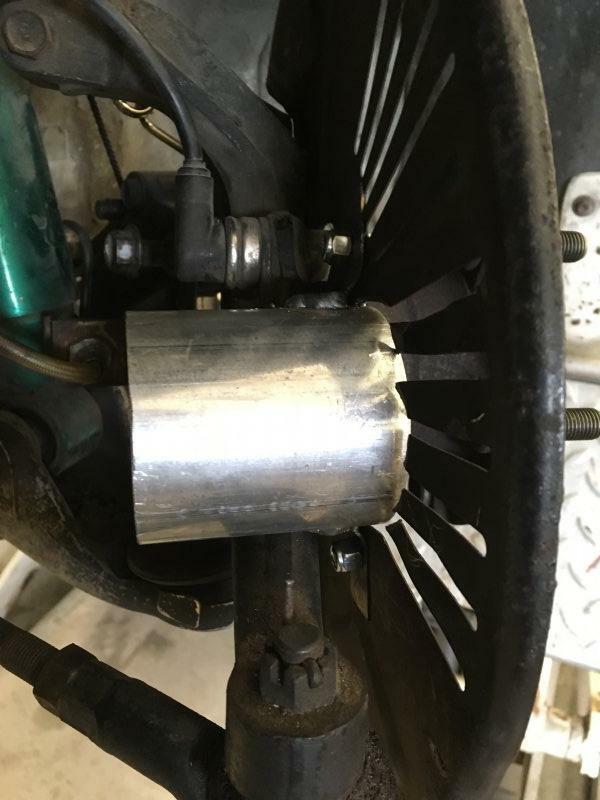 I designed my caliper brackets so I could mount the cooling hoses as close to the center as possible, the massive amount of rubber I have to clean out of the center of the rotors after every race tells me it must be working. This is my ghetto setup brake cooling. I started with a 65mm hole in the brake shield. Then cut a pipe and welded two ears. Drilled two holes in the shield and mounted the pipe's ears to the shield. I then attached a pipe cut on the diagonal to the stock bumper air canals. Then I attached a 65mm hose between the pipes. 30-40mm between the tire and the hose at full lock and the wheel on the ground. 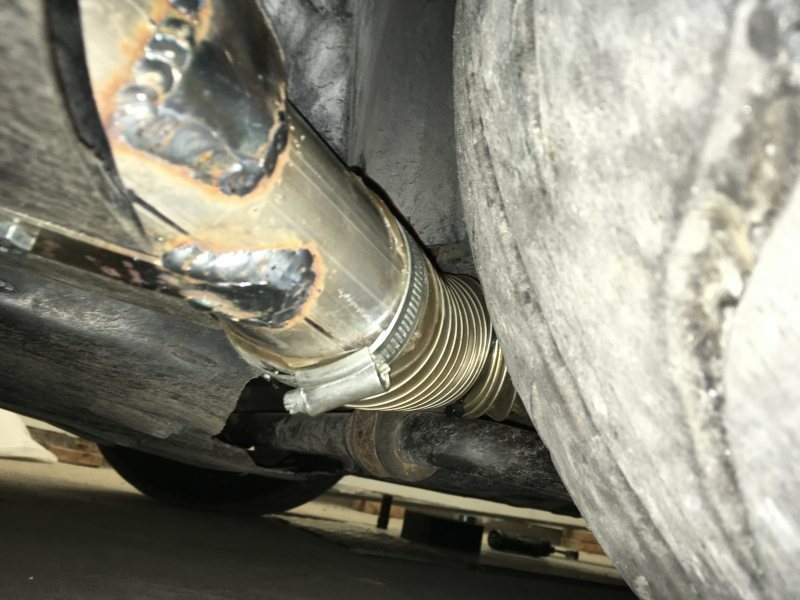 Quick Reply: Brake ducts advice opinions sought.